Well, that’s pretty much it! Harvest 2016, for the Finger Lakes wine area of upstate NY, is in the bag. Winemakers are busy in the cellars, but the backbreaking labor of bringing in the fruit is over. The drought of summer 2016, along with hot late summer temperatures, created a harvest situation different than in years past. 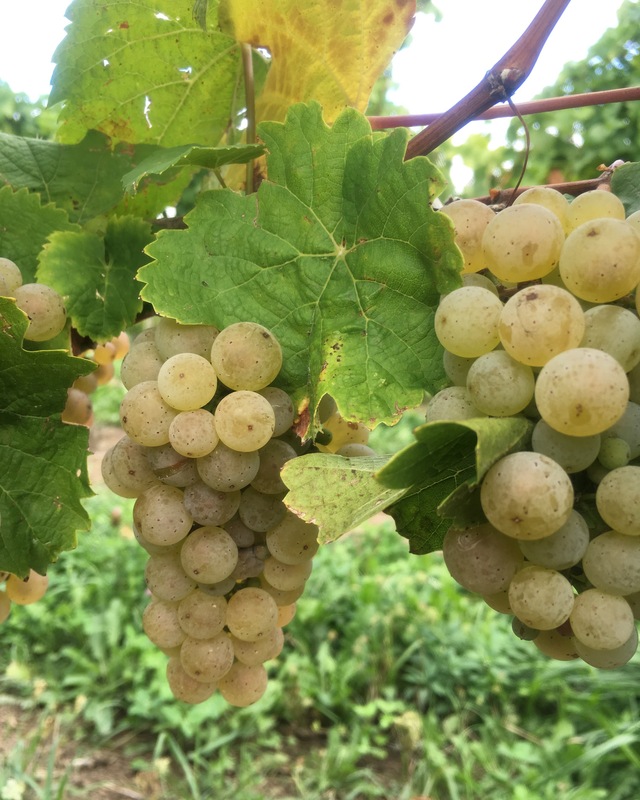 Usually, whites ripen first, and there is a window of staggered time to pick the grapes. 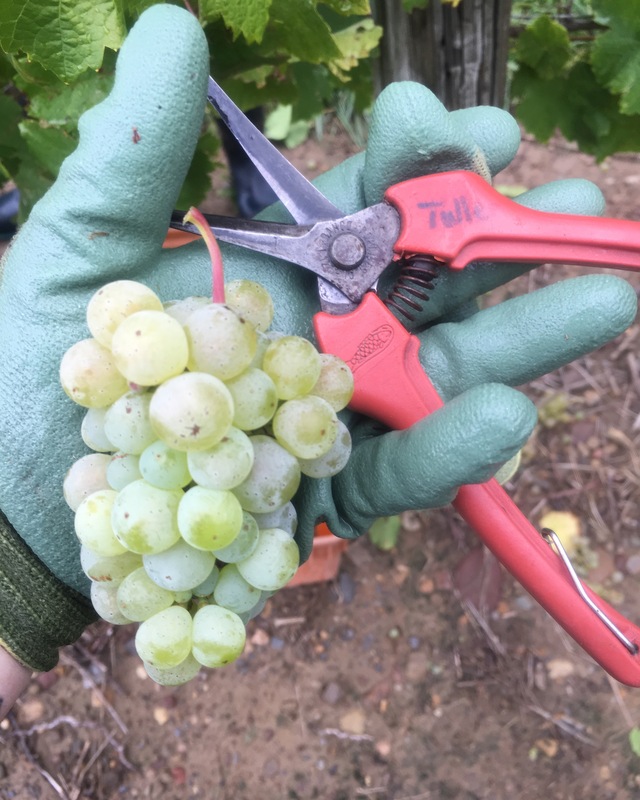 This year, almost every variety was ready to pick at once, creating a push for helping hands–as well as a more aggressive grape seller’s market. Winemakers that buy grapes had to make fast decisions or be priced out to the next highest bidder. ‘Time crunch’ was the big term of this year’s harvest. I had the opportunity once again to get my hands dirty and hand pick for a few different, local, smaller FLX grape growers. First-hand knowledge of grapes and fields make for a more educated taster and pourer of wines, so I take the chance where and when I can. 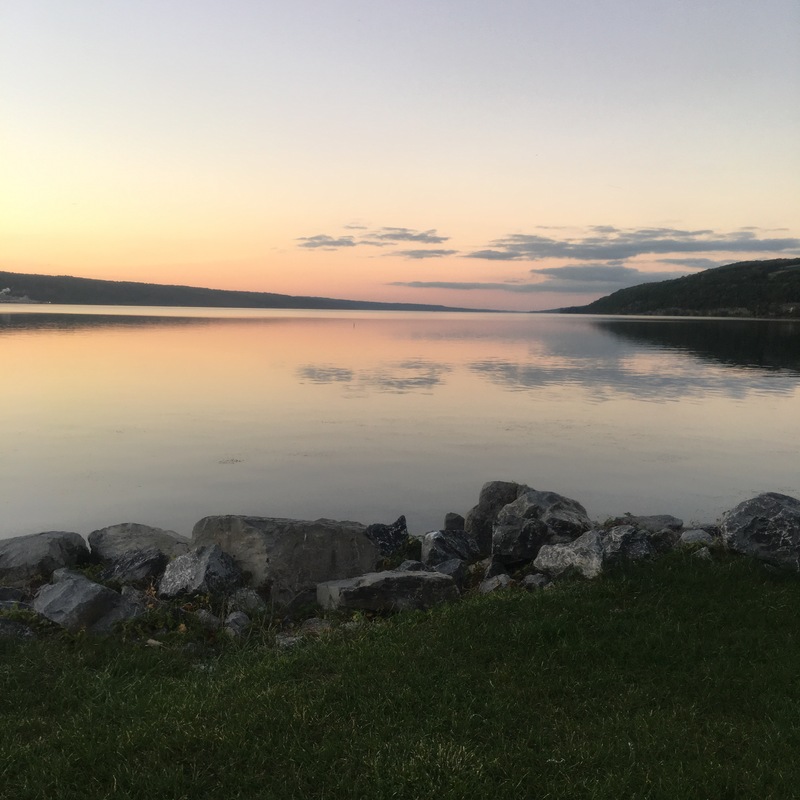 I exclusively hand picked on Seneca Lake this year-Riesling, Gewurtztraminer, Syrah, and Cabernet Franc. As always, I learned so much from the people I worked with, the experience alone was worth the labor put in. Long hours, little pay (mostly), but you really get out of it what you put into it, and the access you get to the winemakers will absolutely change how you think about making (and drinking!) wine. Living in the Finger Lakes, I have the advantage of being close to the action. I’ve been around enough crews of our local FLX winemakers to understand what drives so many of them to work the crazy hours, blast through times of backbreaking labor, and essentially do whatever they have to do. Passion, and maybe a little bit of good crazy, seem to be common threads. Winemakers and tattoo artists are similar animals; they are artists working with a living palette, creatives, and once they have mastered the foundation rules, they might just knowingly and happily bend them. Sometimes, that’s when fun things happen, and I get involved whenever and wherever I can! Barry Family Cellars is a family affair, with winemakers (and brothers) Ian and Brian establishing as one of the first micro-wineries in New York State, according to their BFC website. The focus is on minimally invasive, small batch wines, sometimes unfiltered and unrefined-which are turning out to be some of my favorite styles! 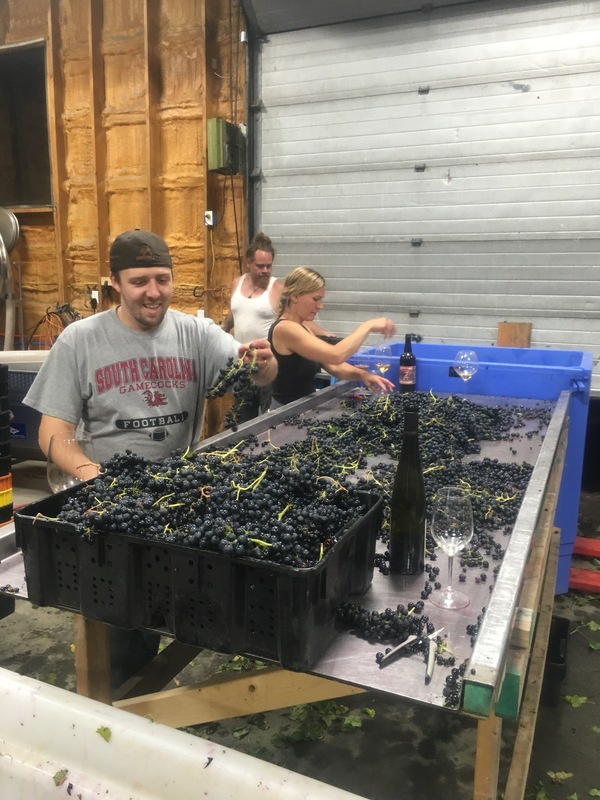 While creeping the interwebs today, I saw that Ian was in the process of bottling what he was calling ‘weird wine’-a SPARKLING, light cherry colored Cabernet Franc blend! I was running around Ithaca getting husband ready for a tattoo trip, and happily Ian and his assistant kiddo Declan were also in our neck of the woods! They were nice enough to swing by Hand of Fate with a bottle of the goods for me to try out. WHOOP!! A Sparkling Cabernet blend is what happens when two winemaker brothers are sitting, tasting their goods…and one says he’s “not sure what to do with it” (Ian talking about this lighter, almost fruity Cab Franc they had) and in response, (Brian) “This might sound crazy, but….sparkling?” And there we have it! So, my preview bottle! Dry, tart, yet fruity for a Cabernet Franc-lighter, pretty cherry red color and of course, bubbles. Lots of cherry, pomegranate, strawberry-think jammy, but not weighty or heavy. I put a light chill on the bottle, and we had a very quaffable, different, fun and enjoyable style of red! Husband mused it almost reminded him of a dry hard cider from the long finish. It would be a fantastic warm weather (think picnic) wine, easily pairing with pizza, appetizers, especially delicious with chocolate. Elegant but unassuming. When you want something with a little more ‘oomph’ and heft than a rosé, this would do the tric nicely! I believe Ian said BFC will be releasing this bad boy in May, so keep checking their website link above for updates…small batch wineries are a jewel of the Finger Lakes, but you can’t sleep on it when new releases appear! Those in the know, know…and good wine in small batches sells fast. Groceries are grabbed, baking is (mostly) finished, and our free range turkey from Autumn’s Harvest Farm is dry brining away. Now it’s time to focus on the booze–what to drink with a meal that includes a LOT of different flavors? So many booze choices, none of them wrong…..
Thanksgiving is a perfect occasion to serve a bunch of different beverages. They are so many foods and textures, there is no single right or wrong wine style to pair. Sparkling wines like Champagne or Prosecco are great for serving during appetizers and lighter nibbles, such as cold shrimp or cheese plates. Bubbles are also fabulous with dessert. I am a big wine drinker, and I love my dry, bold reds, so I will have a selection of bottles Cabernet Franc and Pinot Noir to serve during the main event. 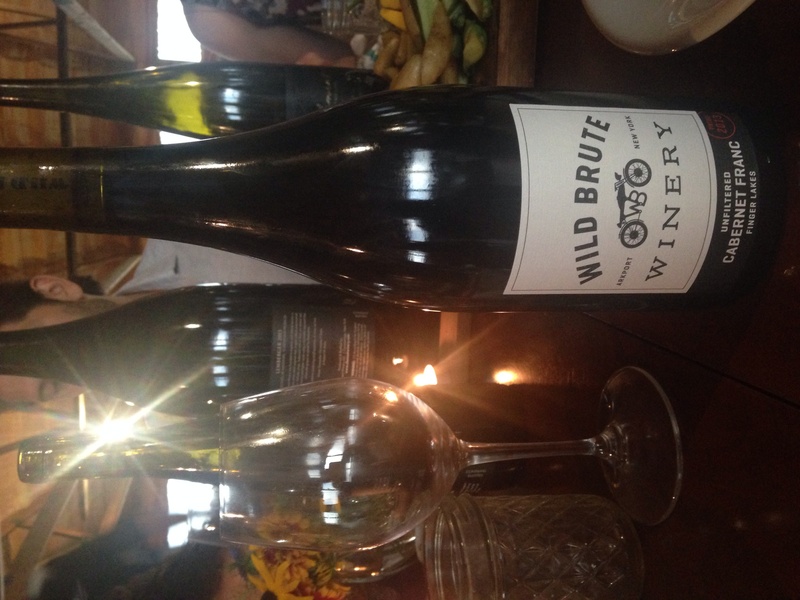 One of my favorites is from Wild Brute Winery, who readers will hear more about VERY soon. But wait, isn’t turkey a bird, so you need to drink a white wine with it? Nope! Rules are made to be broken in this case. The richness will hold up against bolder flavors-go ahead and try that NY State, cool climate Pinot Noir with your turkey. Delicious! 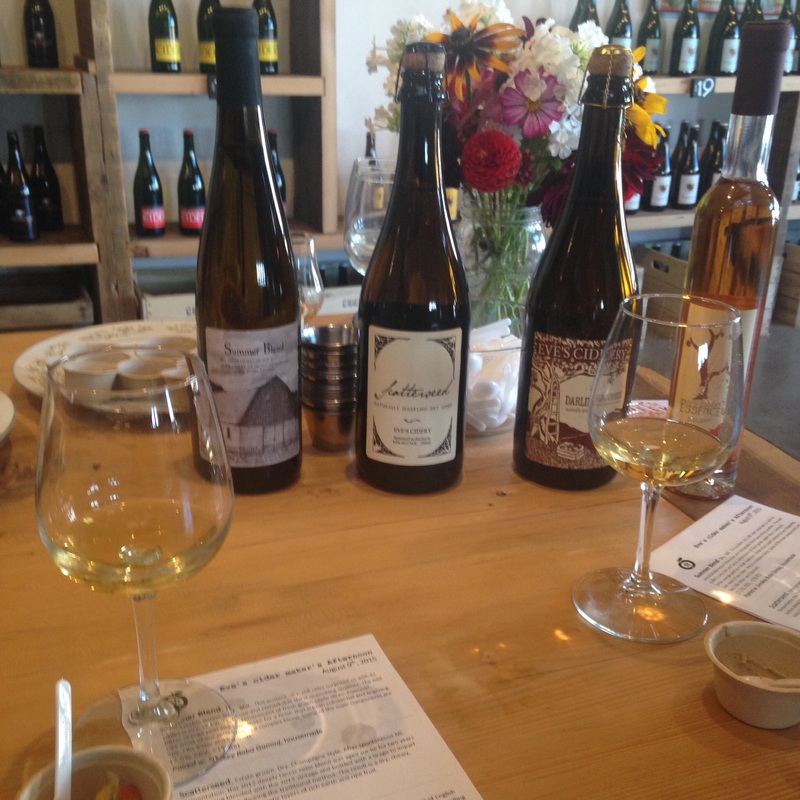 As for white wines, local Finger Lakes Rieslings are world-famous–and heavily publicized at the moment. Fox Run just made the Wine Enthusiast 100 for 2015 for their Fox Run 2011 Reserve Riesling–but at number 47, Herman J. Wiemer shows up on the SAME LIST for their 2012 Magdalena Vineyard Cabernet Franc (at 94 points, TELL ME AGAIN HOW NY STATE CAN’T MAKE QUALITY, INCREDIBLE RED WINES). 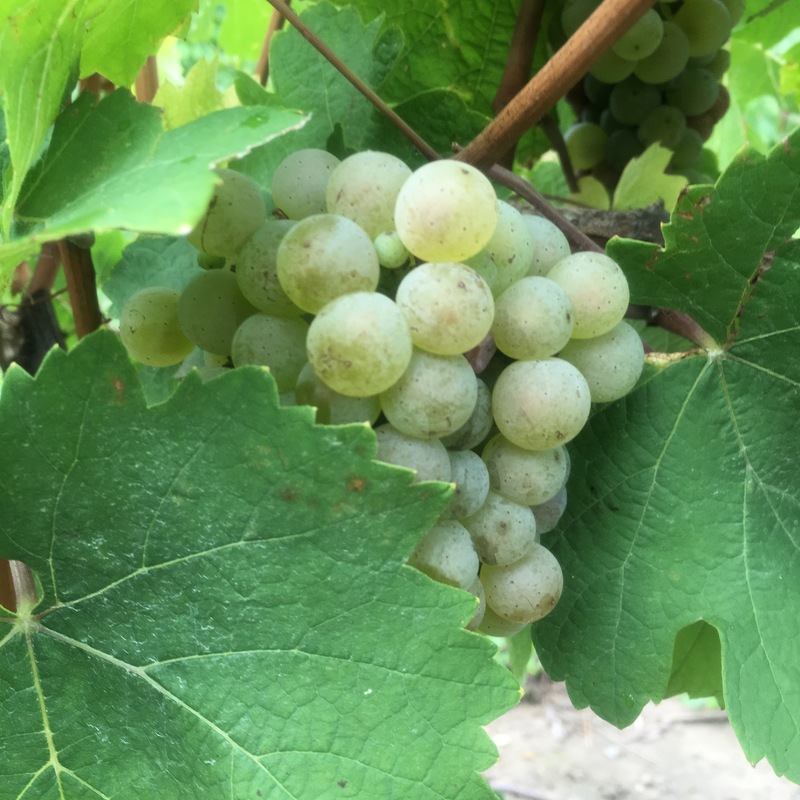 Sorry, back from the rant–not all Riesling is sweet, which is a common misconception….but if you’re looking to try something different, go for a Gewurtztraminer. 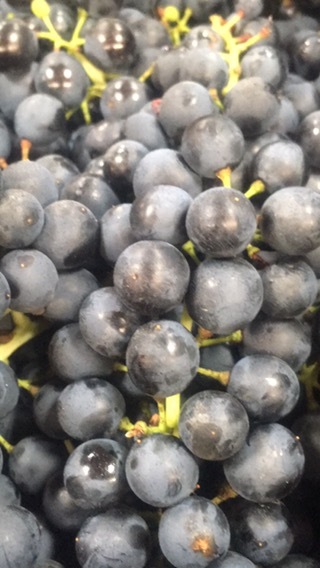 This German grape has a floral, almost hoppy fragrance, and the taste is spicy, fruity, and different than any other. It pairs well with lots of different flavors, without overpowering lighter foods. Give your guests a chance to try something they might not be brave enough to sip on their own! Lastly, Hard Cider is one of my favorite drinks to have with large, family style meals….especially during the fall, and harvest season. Hard apple and even pear ciders are currently enjoying a popularity swing, and several local New York State producers are making high-end artisanal, traditional styles of sparkling and still ciders (with or without bubbles). Some of my favorite local cider products are from Eve’s Cider, Bellwether Hard Cider, Redbyrd Orchard Cider, and Naked Flock Cider out of the Hudson Valley.